Noam Dar's journey to become PWE Champion has been a seemingly endless one. He's seen some of his best friends and some of the most dangerous men in British Wrestling take the title before him. Most recently his best pal Grado holding the gold for over a year before before Iestyn Rees usurped him in controversial circumstances; Cashing in the Money In The Bank contract he won that night to catch Grado off guard and end his reign. Rees winning the title brought Noam's almost reluctant pursuit of Grado to an end. Giving him a more natural enemy in the form of the big man from Gloucester, but a more natural enemy doesn't make for an easier opponent. 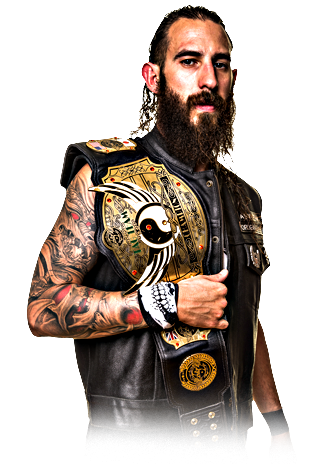 Whilst Noam has seen his many PWE Title challenges fail, including being involved in the final to crown the companies first ever champion, losing out in the end to Andy Wild, all of those experiences have been part of steep learning curve for the Jewdi Master. Involved in wrestling from a very young age, he's almost a veteran at the tender age of 22. 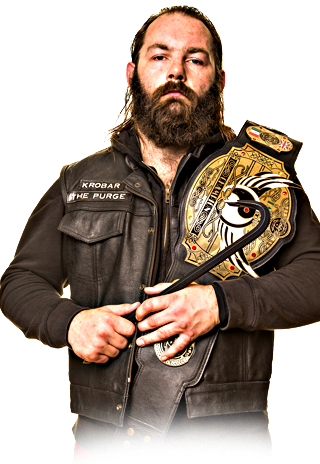 His vast experience and unquestionable natural ability has led to recognition from WWE and he will be one of the participants in WWE's Cruiserweight Classic tournament. He'd certainly like to head into the biggest challenge of his career in high spirits, and locking Iestyn Rees in the X-Wing and becoming the PWE Champion would be the perfect send off the Ayrshire native and the culmination of a journey in PWE that has been bumpier than he'd have wanted, but ultimately was always leading to him becoming the companies champion. He faces a dangerous opponent in Rees, who benefited from some help from Polo Promotions to successfully defend his title against Joe Coffey at "Are You Ready!" but the match itself was certainly Iestyn's strongest showing in PWE to date and a sign that the longer he holds the belt, the more he improves as champion. A win over Dar would also serve to strengthen the hometown crowd's disdain for their champion. Having already seen him take the belt from another Ayrshire native, Stevenston's own Grado, there's potential for riots if he becomes the latest to deny Noam Dar a prize that many think is rightfully his. While they enter the 5th Anniversary Weekender locked in a feud, Noam Dar and Iestyn Rees do have a mutual worry. Whoever emerges from their match as champion has their next challenger to think about and with Drew Galloway holding two victories over Rees in PWE, there's a good chance another hometown favourite will be entering the title picture sooner rather than later. For now Rees just has to contend with the two time Elite Rumble winner Noam Dar. A globetrotting, wrist-kissing, knee shattering wrestling maestro who may or may not be best pals with Vince McMahon. 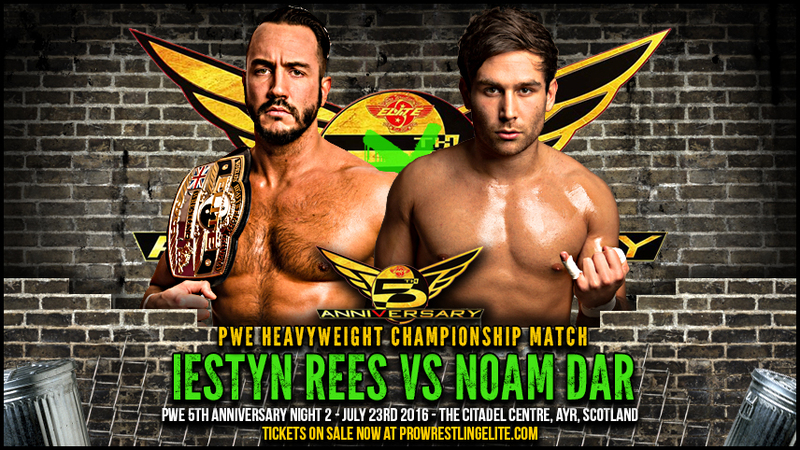 As imposing as Iestyn Rees is, he'll struggle to stop destiny and it feels like Noam's destiny to walk out of the 5th Anniversary Weekender as PWE's figurehead going forward.